Universities and schools continue to tell us that they want learning without limits. So last month, we announced that Drive for Education would be coming to all Google Apps for Education schools at no charge. This week, we’ll be rolling out unlimited Drive storage to all Google Apps for Education users and free archiving with Google Vault will be coming later this year. Schools have helped shape our products over time, starting in 2006 when Arizona State University (ASU) was the first institution to make the move to Google Apps for Education. Just two years later, we celebrated two million active Google Apps for Education users at thousands of universities and today, we have more than 40 million students and teachers worldwide actively using Google Apps—from Keio University in Japan to University of Delhi in India, Chile’s Universidad Viña del Mar to the University of Ghana. But, like any good teacher knows, success is not about numbers; it’s about quality and impact. Students are moving from paper and pencils to cloud-based learning, with information and tools at their fingertips anywhere they are. For them, learning doesn’t end in the lecture hall. 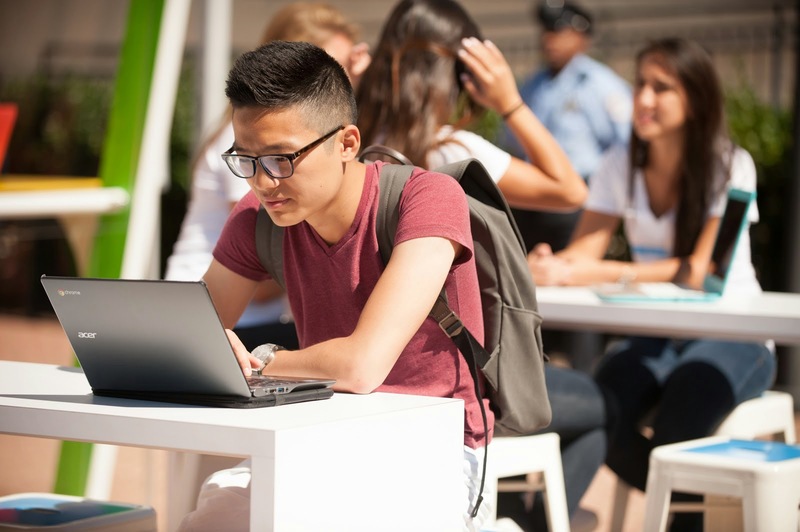 From online courses to 1:1 tablets to lectures via Hangouts, innovation in education is removing barriers for students and widening their horizons. We’re grateful that higher education institutions have innovated right along with us and helped provide feedback to improve our products. Throughout this week, top academic institutions like Georgetown University and UT Austin will share how they’ve been using Google tools, including Google Drive, for the past few years to save money, increase collaboration between students and professors and raise the bar on learning and working, anytime, anywhere, on any device.